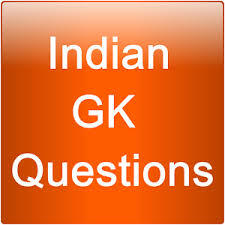 General Knowledge Indian History questions and answers with explanation Part –33 GK And jobs, RAS Exam Study Material, Current GK And Read more: Important facts for the Competitive exam in Rajasthan. And All subject Wise Notes and Math, Hindi, English, History, Political Science, Psychology, Sanskrit Related Study material and Rajasthan General Knowledge (GK) Question for Govt Exam preparation like RAS, IAS, UPSC, RPSC, 1st, 2nd, 3rd Grade Teacher, REET CTET, LDC, SSC CGL, IBPS, MBA, CAT, MAT, SBI-PO, RBI And Railway, Indian Army And all competitive Exams. Question. (1) Guru Arjan Dev was contemporary? गुरु अर्जुनदेव समकालीन थे ? Question. (2) Which Rajput dynasty did not surrender to Akbar? किस राजपूत वंश ने अकबर के सामने समर्पण नहीं किया ? Question. (3) Which Mughal ruler was called ‘Alamgir’? किस मुगल शाशक को ‘आलमगीर’ कहा जाता था ? Question. (4) Who was embellished with the title of ‘Jahan Kalam’ by Emperor Akbar? सम्राट अकबर द्वारा किसको ‘जरीकलम’ की उपाधि से अलंकृत किया गया था ? Question. (5) When was the Battle of Haldighati fought? हल्दीघाटी का युद्ध कब लड़ा गया ? Question. (6) whose Darbar was Fazi? फैजी किसके दरबार में रहा ? Question. (7) Whose time did Malik Mohammed Joyce compose Padmavat? किसके समय में मलिक मोहम्मद जायसी ने ‘पद्मावत’ की रचना की ? Question. (8) Who defeated Humayun in the battle of Chausa? किसने चौसा की लड़ाई में हुमायूँ को पराजित किया था ? Question. (9) Where’s the tomb of Humayun? हुमायूँ का मकबरा कहा है ? Question. (10) Which Mughal ruler ruled twice? किस मुगल शासक ने दो बार शासन किया ?